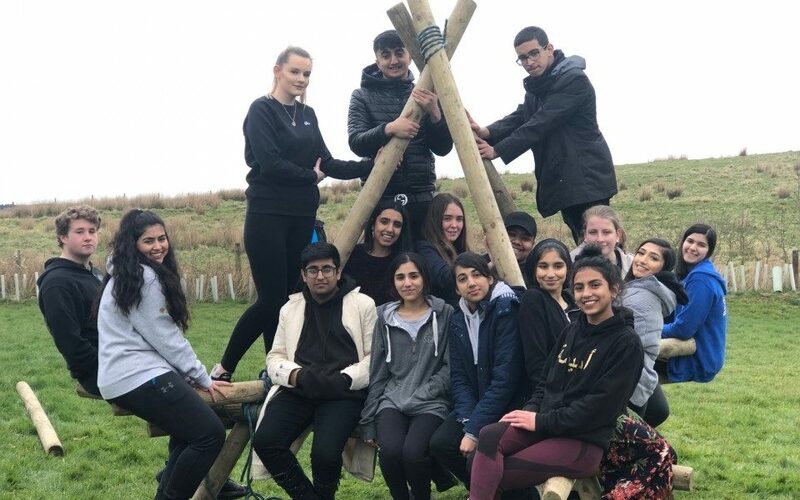 Blackburn with Darwen Borough Council’s Young People’s Services organised and delivered the weekend residential which took 18 young men and women to Coldwell Activity Centre near Burnley for a variety of outdoor team-building activities and workshops. Representing the Council’s Young People’s Service, BRFC Trust, Blackburn Youthzone, IMO and One Voice Blackburn, the young people also took part in youth work curriculum sessions on democracy and workshops exploring identity. The young people were nominated by their organisations to represent them at the two night residential which had a focus on social integration. Blackburn with Darwen is one of only five areas nationally that are working closely with the Ministry for Housing, Communities and Local Government to explore innovative ways of building stronger communities. Blackburn with Darwen has one of the youngest populations in Europe, with one in four people under the age of 15. This presents us with a fantastic opportunity in terms of how we approach the borough’s integration challenges. Coming together as a group and working together, as these young people have begun to do, is a great way to change perceptions and attitudes to people from different backgrounds to our own. It’s heartening to hear these young people say that they started the weekend as strangers, but ended it as friends. I hope they’ll enjoy continuing to work together. I enjoyed the weekend because it was really good to meet other people that have similar interests, and to also meet people from other organisations and get to know their opinions on what’s going on in Blackburn with Darwen. The weekend really brought us together, different people from different backgrounds, giving their opinions. And we can really see that everyone does want integration to happen. During the residential weekend, young people were tasked with putting forward suggestions for a Great Get Together event for others in their age group. The Great Get Together, a national campaign in memory of murdered Batley & Spen MP Jo Cox, aims to bring people together to celebrate what they have in common. Events this year will be held on the third weekend in June. Working in four groups, the young people came up with a wide variety of ideas. They will now work together to develop their ideas and film a video pitch. The group with the winning pitch will receive funding from the Our Community, Our Future social integration programme to stage their Great Get Together in the summer. For more information about Blackburn with Darwen’s Our Community, Our Future social integration programme, watch this short video.